In our last blog about indoor training, we introduced you to the different types of indoor trainers. Today we want to give you an introduction into indoor training and how to make your winter the best possible preparation for the racing season. 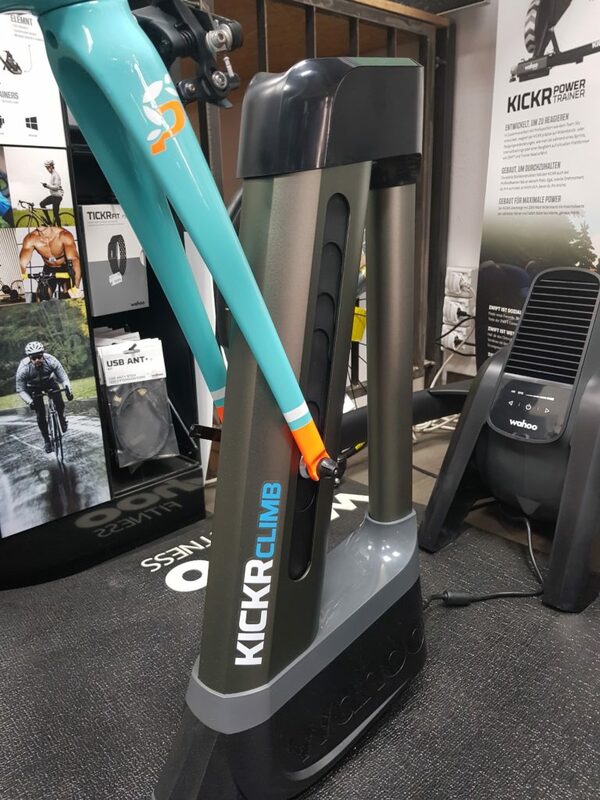 Before there were smart trainers that automatically regulated the resistance according to a an app or a program, the only way to control the trainer was to use the gearshift of your bike or to use the built-in brake of the trainer. A typical workout on the trainer was rather short and usually included a warm-up and a cool-down and of course some intervalls that were controlled by your heart rate. However, there is a big disadvantage when training indoors with just your heart rate. Since there is no head wind cooling you down is an issue. Your body is much warmer as when you would train outdoors. As a result, the heart rate is higher because your body has to do additional work to cool down. In addition, your heart rate needs time to adjust when you pedal with a different intensity. As a result, especially short intervals become very imprecise and usually do not meet the desired intensity. However, a power meter in combination with an old school trainer is still a very big improvement. 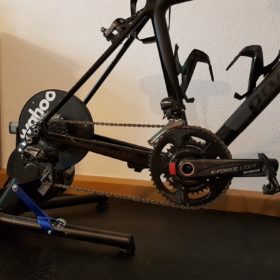 With a power meter, the intervals, even on a non-smart trainer, can be controlled much more accurate, so that your workout can be made significantly more effective. This can make your old trainer an extremely effective training tool during the winter months. BUT: Training with Watt alone can not fix the monotony of indoor training. In addition to an integrated brake, smart trainers also have the possibility of calculating power. This power data can be used to adjust the resistance of the trainer to a previously defined wattage. Even when changing gears or changing the cadence, the resistance and therefore the power stays the same. One example: when you plan a workout and you want to warm-up at exactly 150 watts you can set your trainer up with an app, a computer program or your bike computer to 150 watts and it will change the resistance according to your cadence and your gear. If you know your training zones and your FTP (functional threshhold power) you can plan your workouts to improve your weaknesses or to improve your shape. Today, apps, programs and cycling computers make it possible to program a planned workout beforehand. So the only only thing you have to do is to get on your bike and pedal. No traffic lights, no intersections and no downhill prevents you from being in the right training zone at the right moment. This reduces the time you need to have a successful workout. Whether intensive power intervals or a workout to improve endurance, both can be completed in less time than on the road. If you are training indoors with a power meter on your bike, your indoor training data can be taken outdoors. This is another big advantage because you can check the development of your fitness throughout the year. On an indoor trainer you cannot learn how to ride a bike. You do not get the feeling for the road. In most cases, your position on the bike does not change when there is a digital climb. There already is a solution for all ambitious climbers: the Kickr Climb. This additional gadget simulates a slopes up to 20%. But cornering, fighting for position in a peloton and correct breaking cannot be simulated by a trainer. Also, the movement of the bike in a sprint or when you go out of the saddle can not be simulated on an indoor trainer. In addition, training at home, in your basement or your bedroom is often perceived as very monotonous and boring. 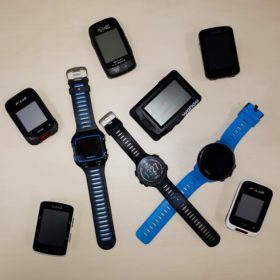 But there is a solution for that, too: “virtual cycling” digital services such as Zwift, Trainerroad, Rouvy and The Sufferfest make your workouts entertaining and they even enable you to ride with other cyclists in a digital world or to race them. Virtual Cycling with Kickr Climb and Headwind. Indoor training in the winter is not only a means to an end, but a first-class tool to specifically train and improve your power on the bike. No matter if smart or classic trainer, only training with a power meter makes indoor training perfect, because you can use your power data consistently on the road. 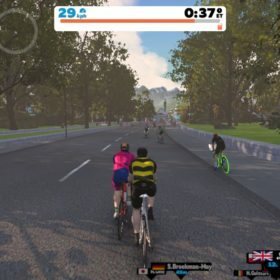 If indoor training sound boring, you should definitely try “virtual cycling”. Here you can find the perfect power meter for your bike!